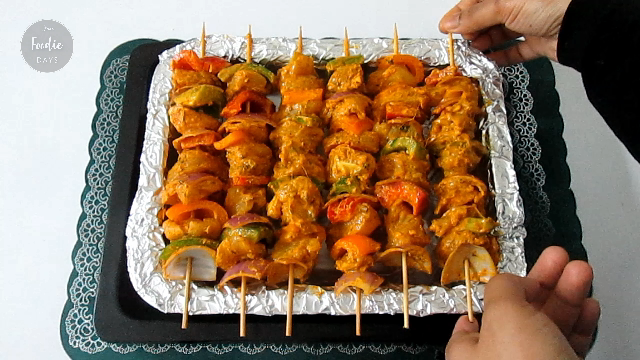 A chicken tikka sizzler is a dish where Chicken Tikka is served on a heated plate and is served with onions. 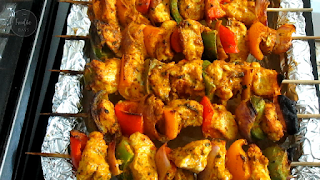 The dish is also known and eaten in Afghanistan Chicken tikka is a popular Indian chicken dish. Small pieces of boneless marinated in a mix of yoghurt and spices and later baked using skewers in a clay-based oven called a tandoor. Ginger garlic paste - 1 Teaspoon. Black pepper powder- 1/4 Teaspoon. Garam masala powder- 1/4 Teaspoon. Kasuri methi / Dry fenugreek leaves- 1 Teaspoon. Oil or butter as needed. In a large bowl add ginger garlic paste, curd, turmeric powder, black pepper powder,garam masala powder, red chilli powder,kasuri methi, lemon juice and salt to taste. 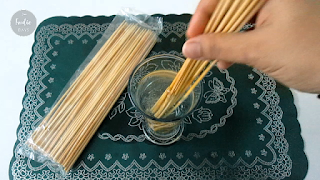 Mix it really well and make a smooth paste. 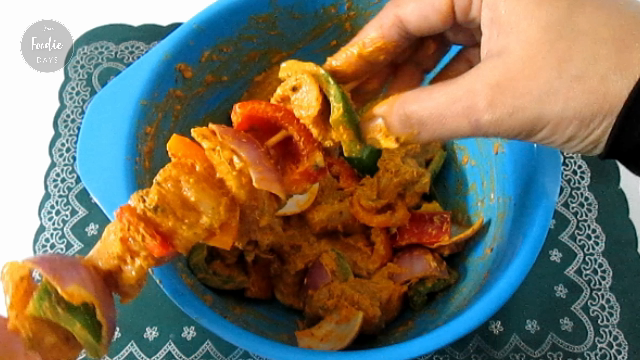 Add chicken pieces to it and marinate well. Add in chopped(cubed) onion & bell peppers. Mix it really well and keep this in the refrigerator for at least 2 hours. for 30 minutes before putting this to grill. 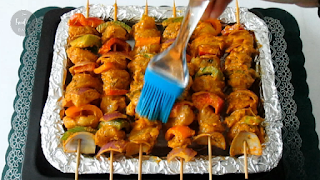 Put the chicken and veggies on to the skewers. Arrange the skewers without touching to the bottom. As shown in the picture. 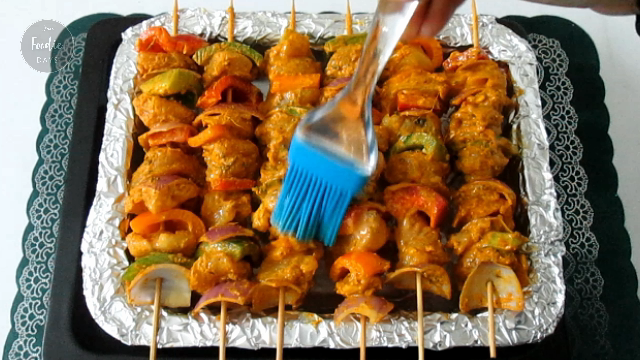 Brush the tikkas with some butter or oil. Place this chicken tikkas in the preheated oven 200°c for 15 minutes(broil mode). After 15 to 20 minutes remove from the oven and flip the tikkas. Again brush with oil and let it bake for another 15 minutes. 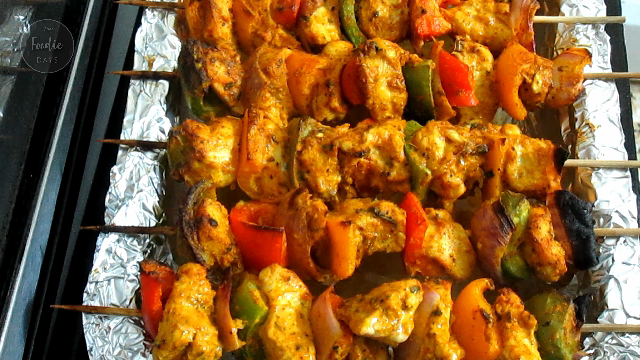 Chicken tikka is ready.. Enjoy it ..Serve as a side dish with roti ,chappathi etc.